Humans have practiced hygiene throughout history, with periodic advancements being made to improve safety and effectiveness of the various methods. Bathing began as one of the earliest forms of hygiene, when early peoples would clean themselves and their clothes in bodies of water. From there, more advanced hygiene practices (including improved oral care) came about which continued to change the way people took care of their health. The first instance of oral hygiene comparable to the modern toothbrush was the chew stick, believed to have been implemented around 3000 BC as a way for people to scrub their teeth and rid them of leftover food. This was a simple contraption – a thin twig with a frayed end – and it allowed the user to both scrub their teeth with one end and pick them with the other end. This was an early method of preventing tooth decay and gum disease, as it allowed early people to maintain good oral health. It wasn’t until 1498 that the first bristle toothbrush, most similar to the ones used in modern society, was invented. Brought about by the Chinese using hog hair and either bamboo or bone handles, these new devices further brought the idea of regular oral hygiene into common practice. These devices spread across East Asia, and were then brought to Europe by travelers during the 17th century where the Europeans continued to innovate. By the mid-1800’s, toothbrushes went into mass production in Europe and in some East Asian countries. The first American-filed patent for the bristle toothbrush came in 1857, however, mass production in the United States didn’t begin on the toothbrush until almost 30 years later. In fact, it wasn’t until the end of World War II that oral hygiene in the form of tooth brushing came to be a commonality, with the change resulting from the adoption of returning soldiers’ good habits. This was helped partially by the emergence of the nylon bristle toothbrush in the late 1930s, which allowed for a softer and cleaner brushing experience. Since the introduction of the first modern nylon-bristled toothbrush in the middle of the 20th century, there hasn’t been much innovation in the toothbrush space. Some minor design and functionality changes have been implemented over the last few decades, including bent heads and different bristle configurations, but drastic innovation in the space has been lacking. Dr. Jack Gruber, DDS has changed that with the PeriClean® Ultra Soft Toothbrush. Dr. Gruber, a renowned periodontist, has been in practice for over 40 years and has seen his fair share of gum damage done by the traditional nylon-bristle toothbrush. The idea for a soft, safe, and gum-friendly toothbrush came to fruition with the PeriClean® Ultra Soft Toothbrush, which uses patented polypropylene plastic and thermoplastic rubber bristles to provide a gentle and effective tooth brushing experience. Years of rigorous research and testing have shown spectacular results and have proven its effectiveness in helping reduce gum recession as well as tooth decay. The PeriClean® Ultra Soft Toothbrush is lightweight yet strong and made out of FDA-approved materials, which means it is completely BPA-free and safe to use in any setting. The PeriClean® Ultra Soft Toothbrush is suitable for adults and children over 12 years old, while the PeriKids® Ultra Soft Toothbrush is available for those under 12. 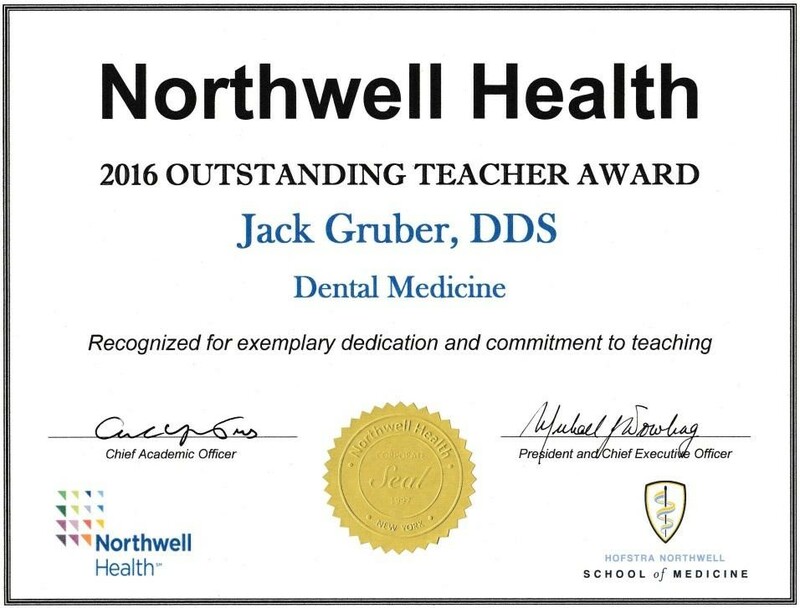 We are proud to share that Dr. Jack Gruber, creator of the PeriClean and PeriKids Ultra Soft Specialty Toothbrushes, has received the 2016 Outstanding Teacher Award from Northwell Health! Dr. Jack Gruber is a renowned Periodontist whose experience spans over 40 years as a pioneer in Periodontal Medicine. He maintains an active private practice and has treated thousands of patients with all forms of periodontal disease. Dr. Gruber is an accomplished Periodontal Surgeon and trains Dentists on how to excel in their craft. 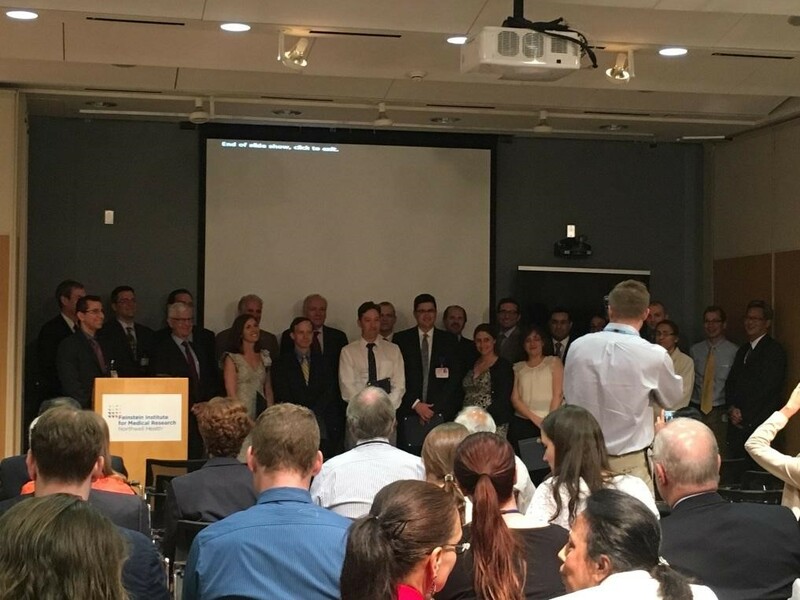 He is an accomplished instructor, lecturer and researcher who contributes immeasurably to the field of Dentistry and to the health of his patients.